We can’t think of a better way to toast a new marriage or bless a new home than with some good booze and the people we love. A stock the bar party is a fun way to celebrate these life changes, and it'll guarantee the guests of honor receive gifts they'll actually use. If you’ve never been to a stock the bar party, you might be a little stumped about finding the perfect gift, but it’s really quite simple. From barware to tools and liquor, we’ve got a few ideas that will make the perfect boozy gift. When we say stock the bar, we mean stock the bar with booze and all the tools your guests will need to shake up the perfect margarita. 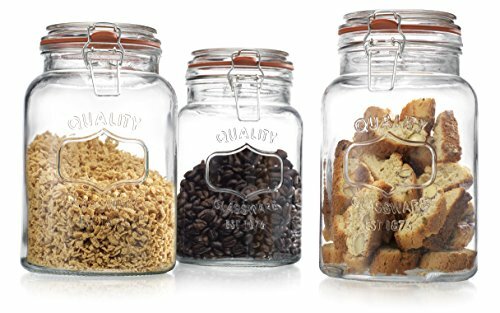 Along with that bottle of tequila, gift your loved ones a Crafthouse Fortessa shaker set. 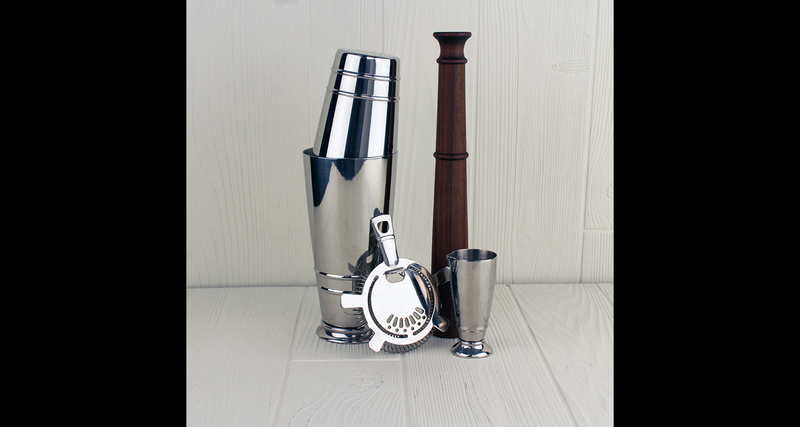 This set includes everything needed to craft the perfect shaken drinks: a two-piece Boston shaker, the bartender’s choice for waking up your spirits; a two-ounce jigger with a beak-shaped spout designed for precision pouring; a weighted black walnut muddler for smashing with confidence; and a Hawthorne strainer fitted with a heavy coil spring to ensure that only good stuff goes in the glass. 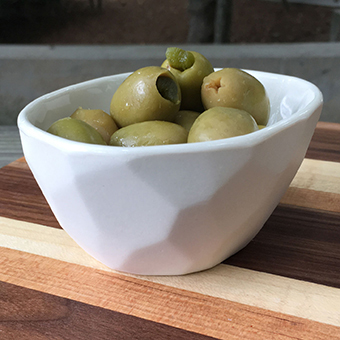 If your loved ones prefer a perfect martini, consider adding on the perfect condiments: Pick up your friends a jar of your favorite olives and a set of reusable olive picks so they will be able to top their martini again and again. 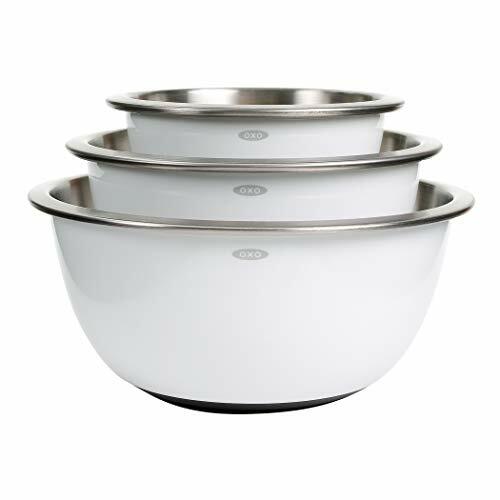 Throw in a serving bowl, too, such as a small, yet sophisticated olive bowl from Bean & Bailey. We’ll admit it: We still drink out of those red plastic party cups every now and then. But that doesn’t mean we don’t love to sip out of a sophisticated cocktail glass or rocks glass every once and awhile. Getting a set of glassware — whether it’s margarita glasses, pint glasses or cocktail coupes — will make you feel a little more grown up the next time you make a handcrafted cocktail. 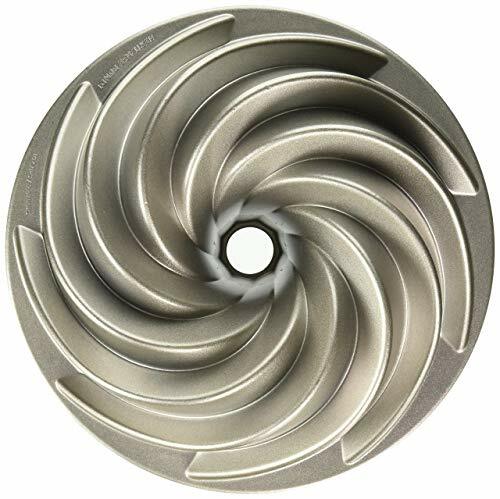 There are plenty of nifty gadgets and wine racks out there that any wine lover will love. Bring a bottle — or two — of rose, chardonnay or merlot to the party, but don’t forget a creative wine holder to go with it. Hoffmaster Woodworks has two unique wine holders we love using in our kitchen. The wine glass hanger allows you to carry two wine glasses and a bottle using only one hand. 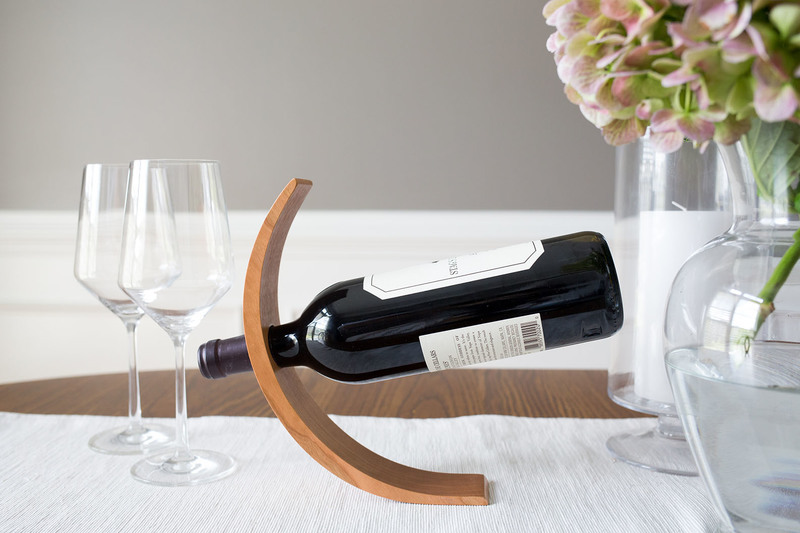 For the host that loves to show off their favorite bottles, the balancing wine bottle holder is a gravity-defying balancing act that turns a bottle of wine into a piece of art. Do you have a cocktail that always seems to be a hit at a party? Write it down and gift it to your friends along with a bottle that compliments said recipe. Or print and bind several together for their own personalized cocktail cookbook. Since you've probably tried all the cocktail recipes out there (let's be real), you know what works and what duds to leave out. If you have a large group of friends, round up everyone's favorite recipes, tips and tricks for a boozy gift that will last far longer than a bottle of liquor. Frosé all day, y’all! 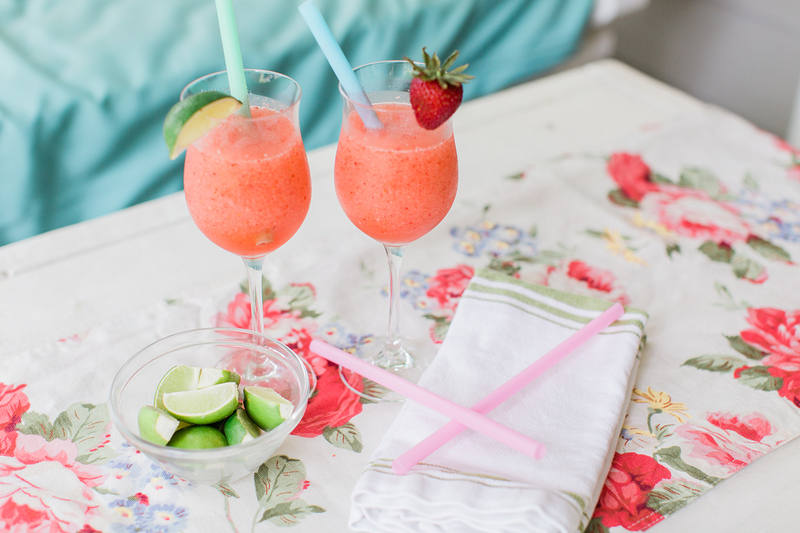 We love sipping on frosé to keep us cool while we’re enjoying the Southern sun. If your friends do, too, pair a bottle of your favorite rose with an insulated Sovaro bottle. 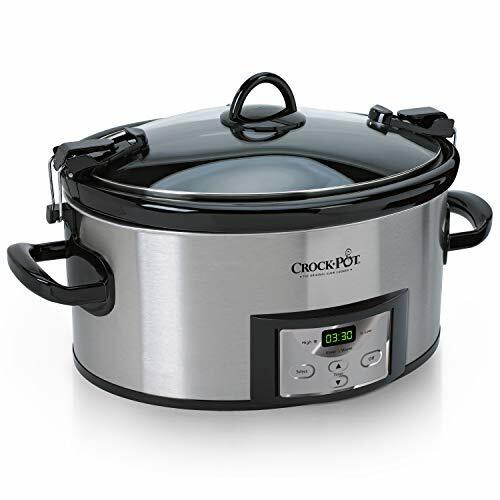 It'll keep every batch cool as you bring it along for a picnic or beach trip. And if frosé isn’t their thing, Sovaro designed the 25-ounce bottle to hold a full bottle of wine … any wine.